The long term, multimillion pound contract to repair, maintain and invest in Rotherham Council's housing stock is up for renewal. Tender documents show that the authority is looking to procure two service providers to partner with to deliver repairs, maintenance, compliance and investment works to properties plus communal areas, community centres, boiler houses and garages. Given a value of £24m, the tender is broken down into two lots, one for North and one for South. The contract is set to start on April 1 2020 and run for five years. Rotherham's current council housing stock of circa 20,500 dwellings is a mixture of low and medium rise accommodation, with a small amount of high rise stock. These include both traditional and non-traditional forms of construction. In 2010 the authority first went out to the private sector. 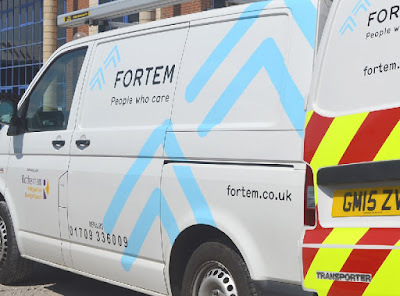 From a base at Templeborough, Fortem works with the Council to deliver a repairs and maintenance service to 10,500 homes in the areas of Wentworth South, Wentworth Valley, Rother Valley West and Rother Valley South. The company, then known as Willmott Dixon's property repairs and maintenance specialist, Willmott Dixon Partnerships, secured the five and a half year contract worth £58m with possible extensions up to 2020. Morrison Facilities Services began a £60.5m contract to maintain council properties in 2010 to repair and maintain 13,000 properties in Rotherham North, Rotherham South and Wentworth North. Mears, the UK's leading provider of social housing repairs and maintenance services, acquired the company in 2012. Mears operates a national training centre inside Rotherham United's New York Stadium. Discussions have been held around Fortem creating a new academy and bringing additional jobs to the borough. The deadline for submitting tenders for the new contract is February 14.